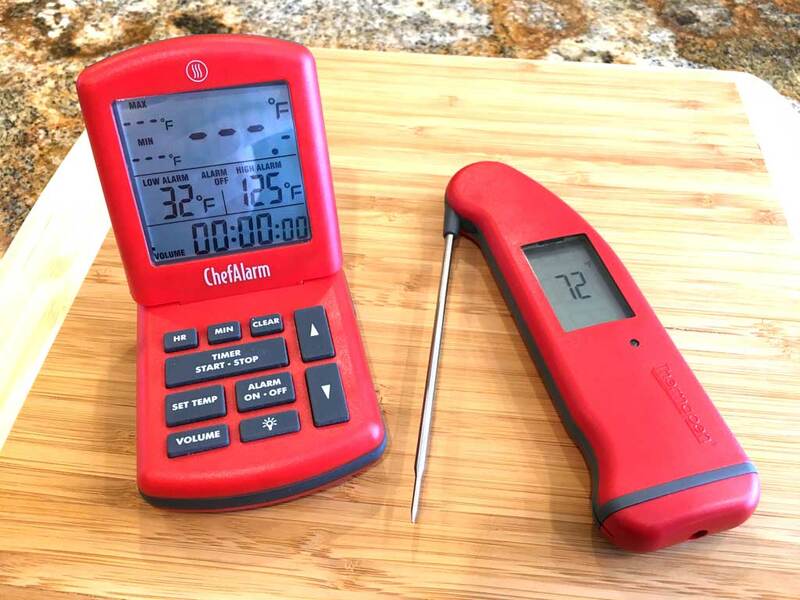 It may not seem intuitive at first, but when grilling large cuts of meat, it can be helpful to use both a probe thermometer and an instant-read thermometer to measure internal meat temperature. 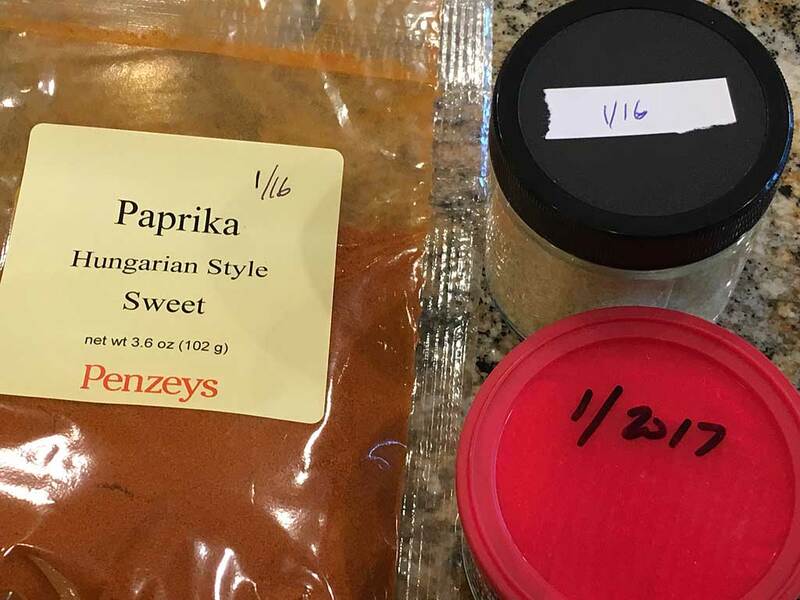 Here’s a quick tip: When you purchase any herb, spice, rub or pantry ingredient and you care about the freshness of that ingredient, simply write the month/year somewhere on the bottle or package as a reminder of when you purchased it. Now you can easily check any ingredient to see how old it is. 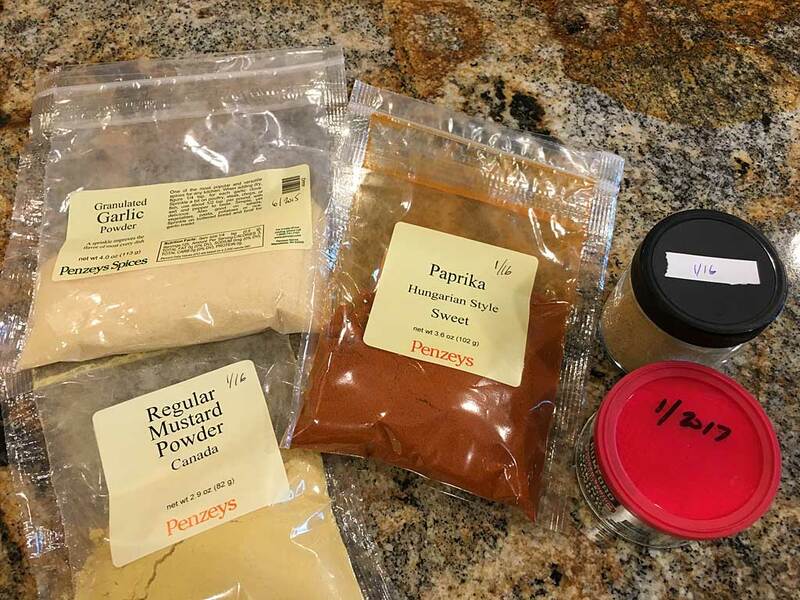 I replace all my ground spices every two years; whole spices like peppercorns and nutmeg every four years. Baking ingredients like baking soda and baking powder I replace annually. Salt is the exception—it never goes bad and doesn’t need to be replaced. If you can’t write directly on the side or lid of a container, apply a sticker to the container and write the date on the sticker. Cast Iron Cooking Grates: Which Side Is Up? 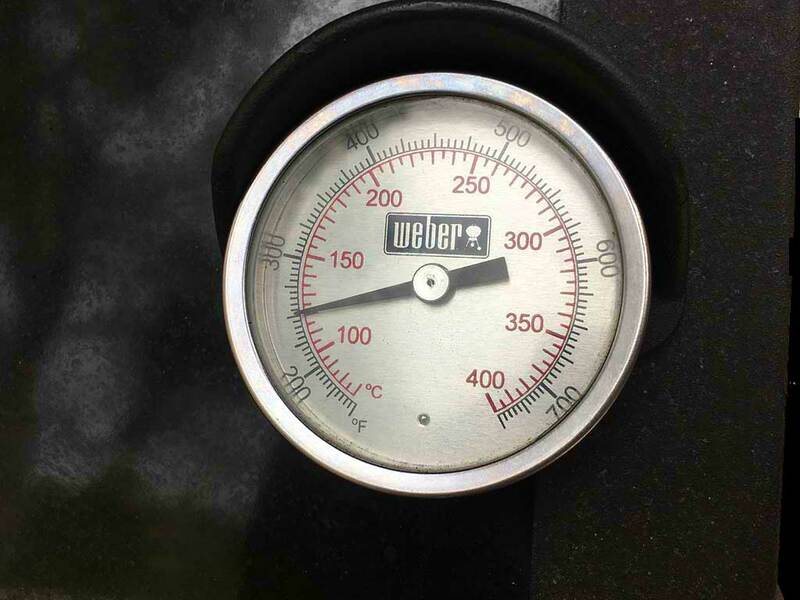 This Weber Genesis features cast iron cooking grates. The grate on the left has the narrow, pointed side facing up; the grate on the right has the wide, flat side facing up. The grate on the right is in the correct orientation. 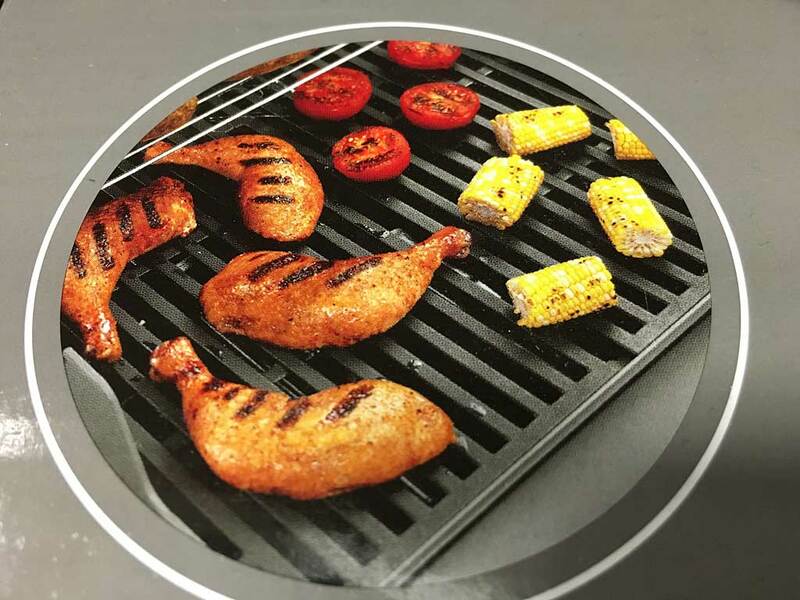 The wide, flat side of the grate should face up for maximum contact with food and for the best grill marks. 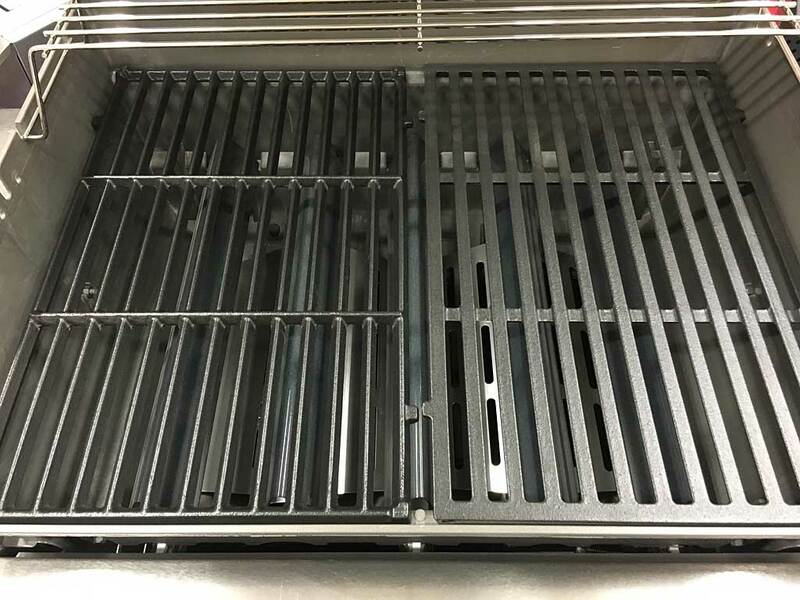 It’s easy to install grates in the wrong orientation when assembling a new Weber grill or when replacing porcelain enameled steel grates with cast-iron grates. But you won’t make this mistake because now you know what’s up! Here’s a great video from the folks at Cook’s Illustrated magazine that describes their lab testing of cooked flank steak and strip steak and the relative force needed to cut both meats with the grain and across the grain. Tests using a texture analyzer showed that cooked flank steak took 4 times the force to cut with the grain than across the grain. 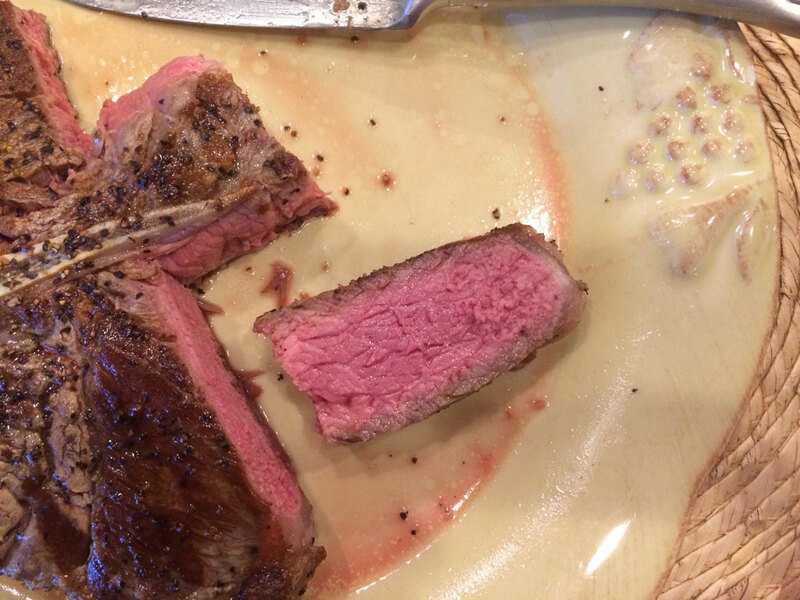 For cooked strip steak, it took almost 2 times the force to cut with the grain than across the grain. Most interestingly, it turns out that the force needed to cut both cooked flank steak and cooked strip steak across the grain is almost the same! 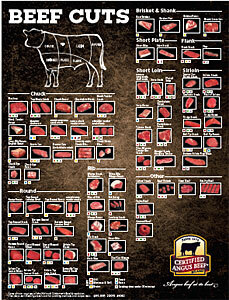 The Bottom Line: How steaks are cooked, to what internal temperature, and how they’re sliced after cooking have a huge impact on tenderness; and cheap(er) cuts like flank steak, skirt steak, and hanger steak can be almost as tender as expensive steaks when cooked and sliced properly. In my opinion, nothing goes better with a grilled steak than a tender, fluffy baked potato. I’ve always baked them in a 400°F oven for 45-60 minutes and then poked with a knife to determine doneness…sometimes without much success. I cut into the potato and find the center a bit under cooked. The folks at Cook’s Illustrated magazine tackled the question of The Perfect Baked Potato in their January/February 2016 issue. They determined that the optimal internal temperature for a uniformly fluffy baked potato is 205-212°F. 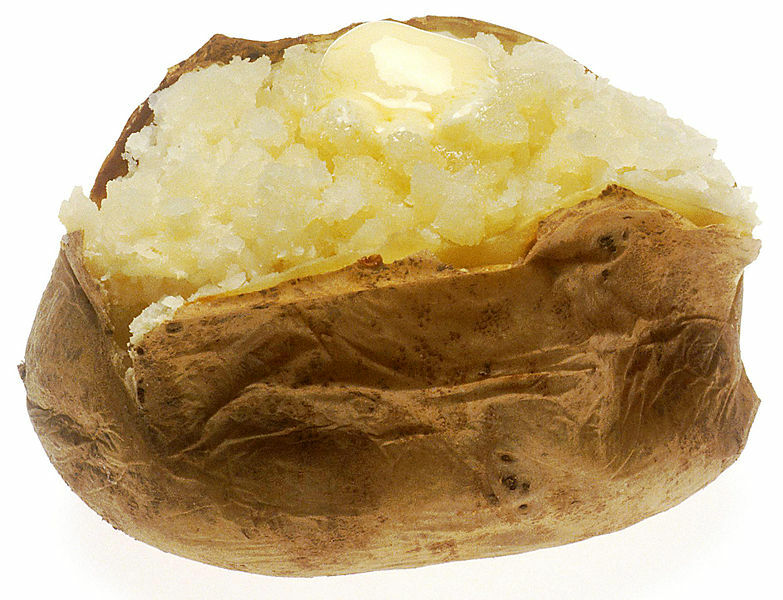 Cook’s suggests baking potatoes at 450°F for 45-60 minutes until the largest potato registers 205°F in the center. 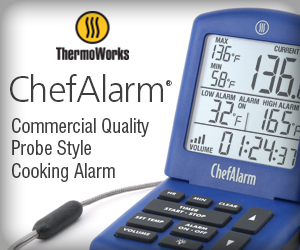 So now you’ve got yet another reason to own a good quality instant-read thermometer! 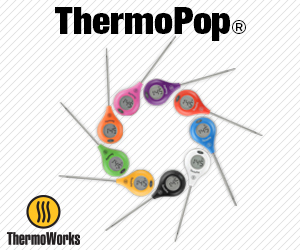 Next time you bake a potato, probe it to ensure the perfect internal temp!